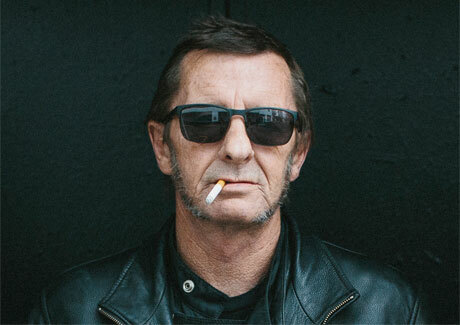 Embattled AC/DC drummer Phil Rudd already got off the hook is regards to being charged with attempting to procure murder by allegedly hiring a hitman. However, he is still facing charges of threatening to kill and drug possession, and now he's pleaded not guilty on those counts. Well, technically it was Rudd's lawyer, Paul Mabey QC, who pled not guilty, since the New Zealand Herald notes that Rudd didn't actually make an appearance at Tauranga District Court today (December 2). Mabey entered the plea of Rudd's behalf last week. The case will go before the courts in 2015, with a review booked for February 10. Judge Tom Ingram said that it would likely be a judge-alone trial, rather than a jury trial. He also ordered the continued suppression of the exact details surrounding the threatening to kill charge. Meanwhile, Rudd hasn't been involved with AC/DC since his legal troubles began. The band's album Rock or Bust is out today.